Samoas are my favorite girl scout cookie. I have already made Samoa Bark and Samoa Cookie Bars. Both were delicious but I think I like these the best with the rich brownie bottom. We went to dinner at a friends house last weekend and I brought these along. The brownies are from www.hersheys.com and the tops are adapted from http://www.sixsistersstuff.com. Heat oven to 350 degrees. Spray a 13 x 9 x 2 pan with PAM. Place butter in microwave safe bowl. Microwave at medium or melt setting for 2 minutes or until melted. Stir in sugar and vanilla. Add in eggs one at a time beating well after each addition. Add cocoa, beat until well blended. Add flour, baking powder and salt. Pour into prepared pan. Bake for 25-30 minutes or until brownies begin to pull away from sides of pan. 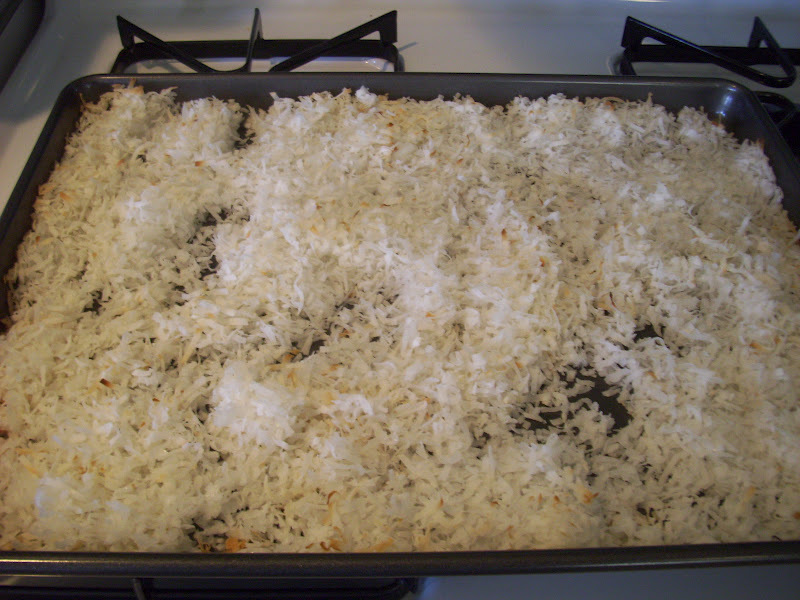 Preheat oven to 400 degrees and spread coconut on baking pan. Cook for 2-3 minutes and flip coconut over and then cook for another 2-3 minutes until toasted. 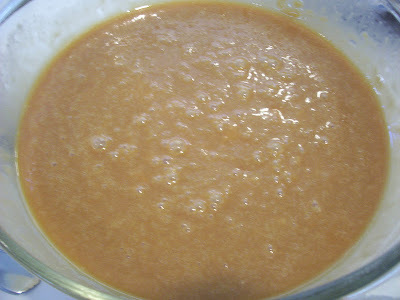 In a large microwaveable bowl, add unwrapped caramels and milk and cook on medium heat for 3-4 minutes stirring occasionally. Cook until caramels are melted and smooth. Take cookies out of sleeve and cut into chunks with a sharp knife. Add coconut and cookies to melted caramel and mix together. 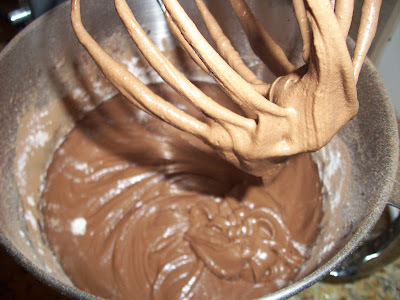 Spread mixture over cooled brownies. Refrigerate for 2-3 hours or freeze for an hour. Melt chocolate chips in microwave on medium for 1-2 minutes. Stir until smooth. Drizzle over top. Let chocolate set. Cut into bars. I saw this at Miz Helen's - really caught my eye!! Looks delicious! Oh myyy.. so deliciously decadent. Stopping in from the Weekend Potluck. These brownies look amazing! I've pinned them and can't wait to give them a try asap! I love somoas and these look amazing. thanks for sharing on Foodie Friends Friday and remember to come back and vote on Sunday. What an awesome treat, hope you saved me one. Hope you are having a fabulous day and thank you so much for sharing with Full Plate Thursday. I'll take seconds on this absolutely sinful creation. Thanks so much for linking up at Weekend Potluck! Oh WOW! You totally had me at Samoa! 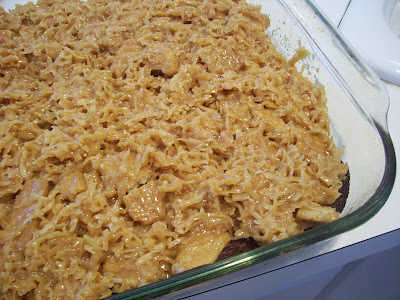 I love coconut and caramel, and I guess you can add in the chocolate if you have to, lol. I can’t wait to try these at home. Thanks so much for linking up to Creative Thursday. Can’t wait to see what you share next week. Have a great weekend. Oh my gosh! I need these right now! I can't wait to make them. Thanks so much! Are you even kidding me? That sounds like a *perfect* dessert to me. Fabulous! Coming over from Trick or Treat Tuesday. I think my hips have expanded just reading the recipe. These are on my "to make very soon" list. Thanks for sharing. I bet these are just amazing! A glass of cold milk and I"m set! Thanks so much for sharing at Mom On Timeout! 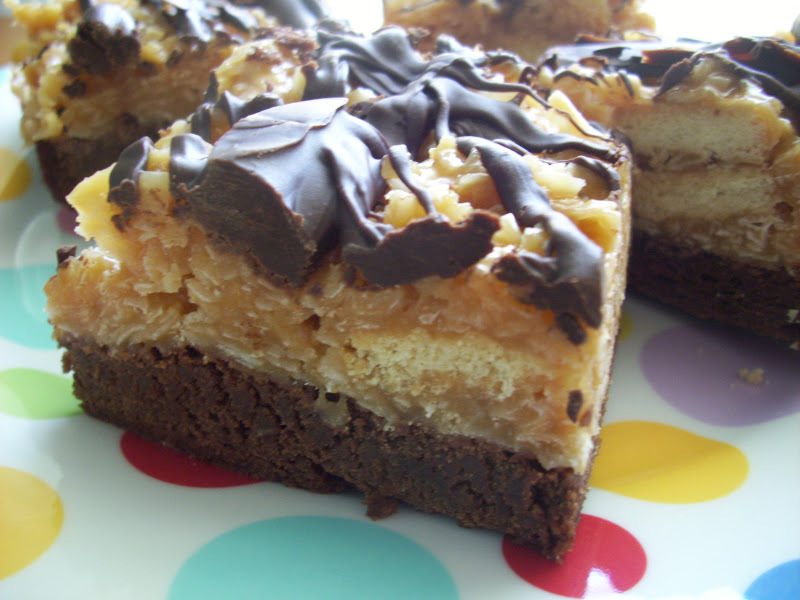 Samoa's are my very favorite!!!! Love that you turned those yoummy cookies into brownies!!! Thanks so much for linking up to Iron Chef Mom!